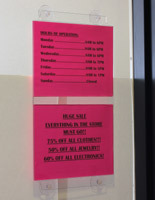 This Commercial Sign Supply On Sale Holds Standard Sized Paper! This Sign Equipment is Ready to Ship Now! Clear exterior matches any decor. Hard acrylic material secures and protects signage. 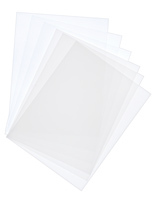 Sized 8-1/2" x 11" to accommodate common printer paper. Four suction cups attach to non-porous surfaces. 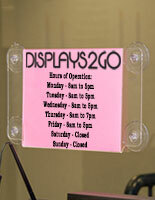 This sign supply is an easy-to-use temporary sign that can be affixed to any door or window. The sign supply can remain affixed to your door while sign changes are being made. 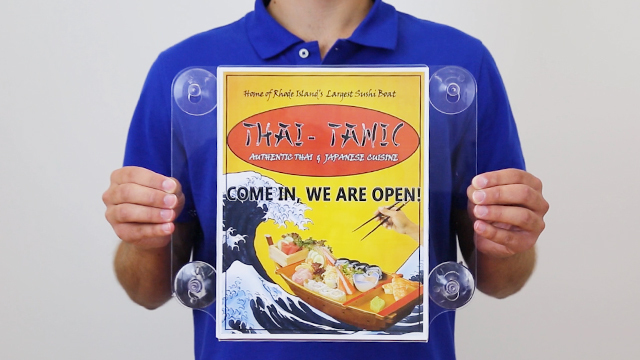 This suction-cup sign holder has been field tested and proven to be an effective presentation tool. 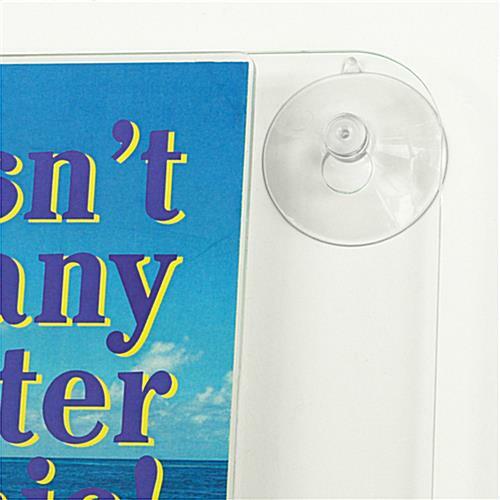 These window signs are one of our best sellers! 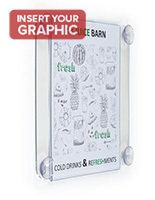 The suction cup poster frames are excellent for exhibiting 8-1/2'w x 11"h advertisements. 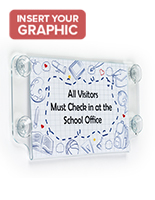 These sign supplies can be used as single or double-sided displays so you can present both welcome messages and thank you messages on one sign. 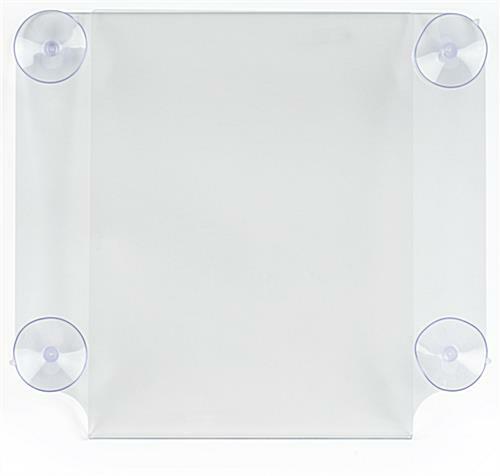 The 8 1/2" x 11" sign supplies are held safely in position via the provided suction cups and content may be inserted from either the top or sides. Buy discount sign supplies online now!